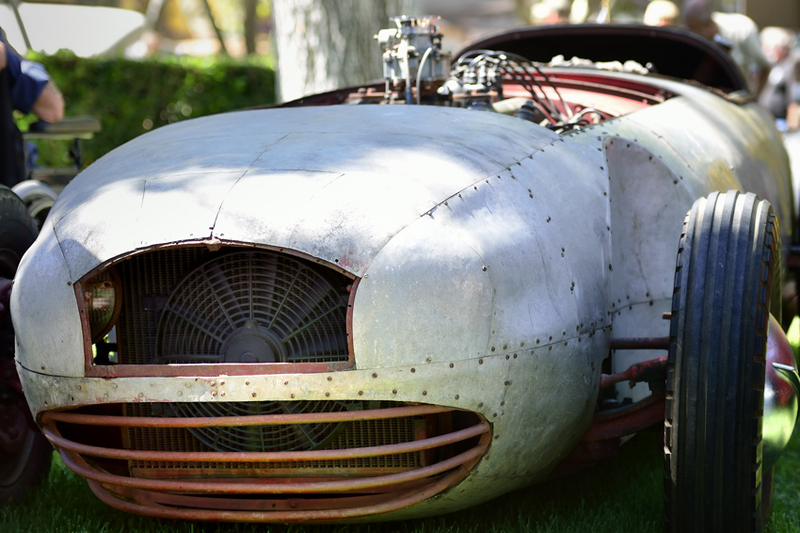 This is a shot of a vintage Salt Flats Race Car made from aircraft grade sheet metal and was actaully run many years ago in attempt to achieve a world speed record for a vehicle in its class on the Salt Flats. We are not sure of the outcome, other than this was discovered by one of the P-Town Pushrod Members recently in California. It was in a barn/garage covered with boxes. They managed to bring it back to life after many years of rest – it ran! Since at least the 1990s, track preparations have been the responsibility of the event organizers. Days or weeks in advance, the track preparers identify an area best suited for their track layouts and begin grading the tracks. Surveyors are brought in to survey the timing trap distances. A day before racing begins, the track markers are added. Originally, the straightway was marked with a broad black line down its center. This was eventually changed to lines down either side, as the center line wore out too quickly. As the costs for painting the lines has gone up, organizations have switched to flags and cones as track markers. The last event to use black lines was SpeedWeek, August 2009. 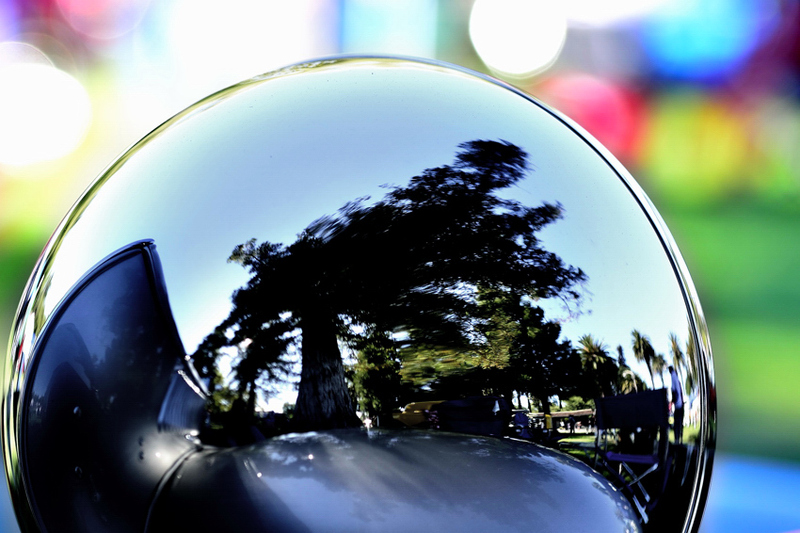 The series from the 2011 Good Guys Rod and Custom Show continues with some images of reflections. This was a very challenging shoot! OK, it is “just cars” but minimizing background clutter, finding the light, waiting for the light to be correct and being patient with the thousands of fans…I think you get it! It is not like rolling one of these beauties into a Studio equipped with a 40ft overhead softbox, like you may see in Magazine Ads. Fun anyway! Of course, none of these shots could have been executed without the extreme work of the proud owners! Auto detailing is the performance of an extremely thorough cleaning, polishing and waxing of an automobile, both inside and out, to produce a show-quality level of detail. 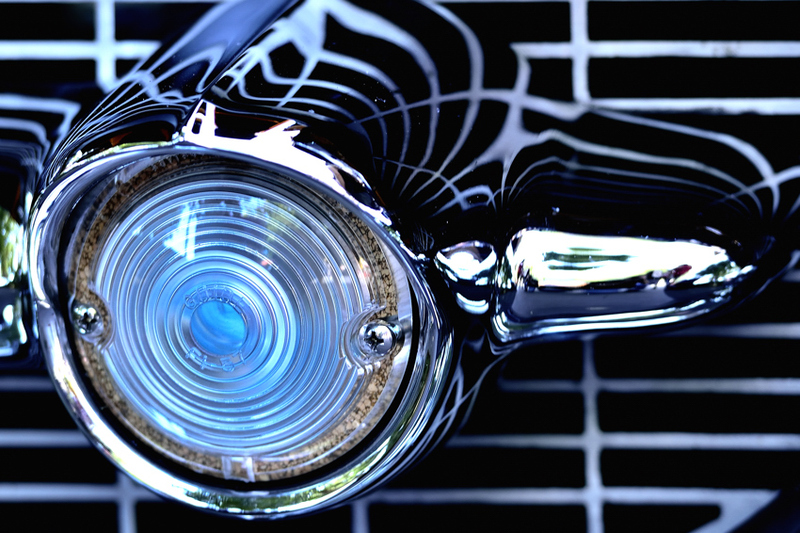 Exterior detailing involves cleaning and bringing a shine to the car’s paint, chrome trim, windows, wheels and tires. Different detailers use different products to do this, including detergents, detail clay, waxes, polishes, and a variety of applicators and special cloths. 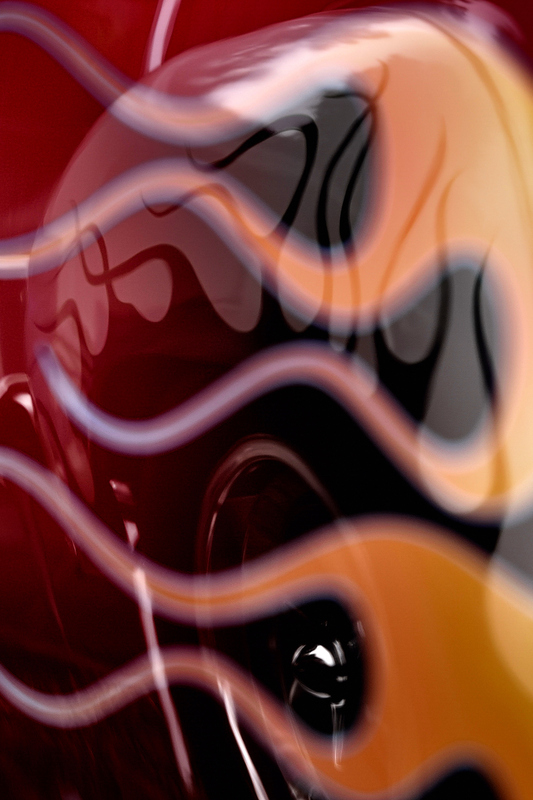 I think this one is fun – flames within flames! The three main components of exterior car detailing are cleaning, polishing, and protecting. Cleaning refers to removing all foreign surface particles from exterior surfaces through the use of washing and claying. A clay bar helps to clean contamination/dirt from within the clearcoat that cannot be removed through weekly washing such as bugs, tar, sap, etc. Correcting refers to using mechanical polishes by hand or with a machine and specific polishing pads that remove micrometres of clearcoat from a vehicle to remove fine scratches and swirls from a paint surface produced from improper washing or drying technique. Protecting involves the application of a protective wax (in liquid or paste form) that prevents foreign matter from adhering to the surface of the vehicle, including water, bugs splatter, tar, and dirt. Waxes and sealants provide this barrier against the elements. Waxes are some of the most expensive elements of the detailing process. 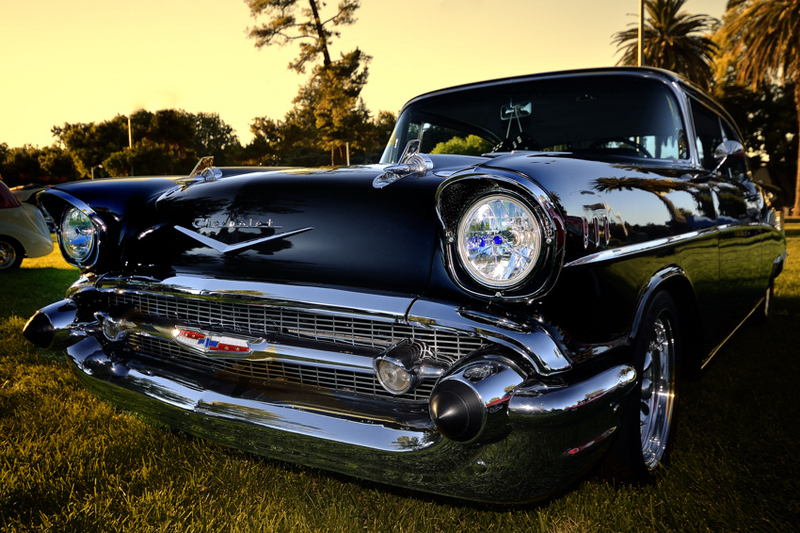 During the sunset hours we were able to capture the subtle details of this beautiful 57 Chevy. Kathleen immediately was enamored with this car, it brought back memories of her Fathers ride. She explained to one of the P-Town Pushrod’s Founders…”I want one that goes rumpa rumpa rumpa” explaining the sound of the custom engine. How cute is that? Now about the car! 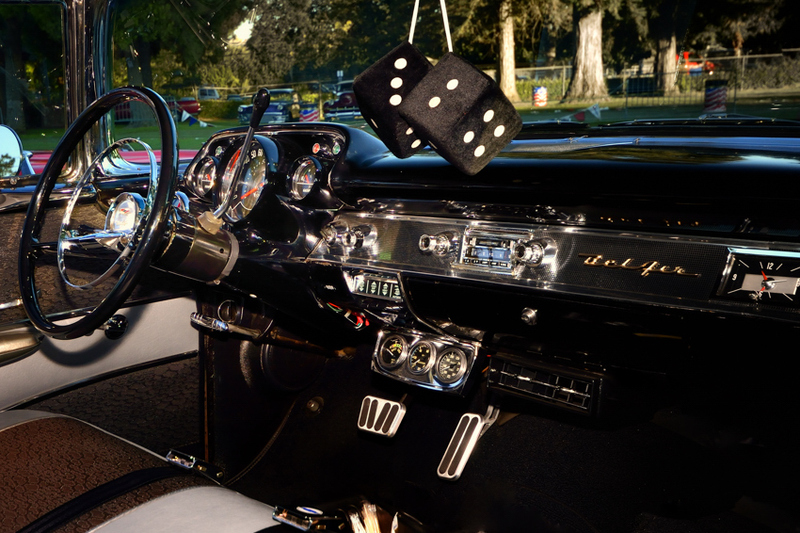 Initially, General Motors executives wanted an entirely new car for 1957, but production delays necessitated the 1955-56 design for one more year. 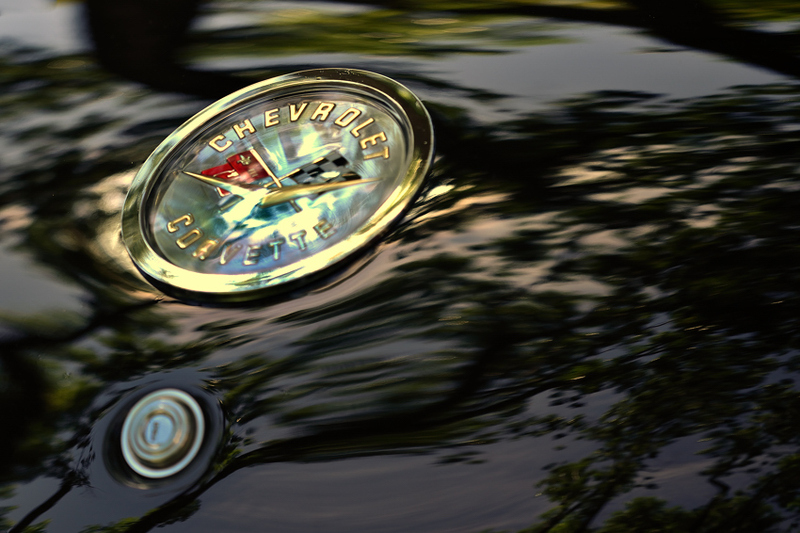 Ed Cole, chief engineer for Chevrolet, dictated a series of changes that significantly increased the cost of the car. 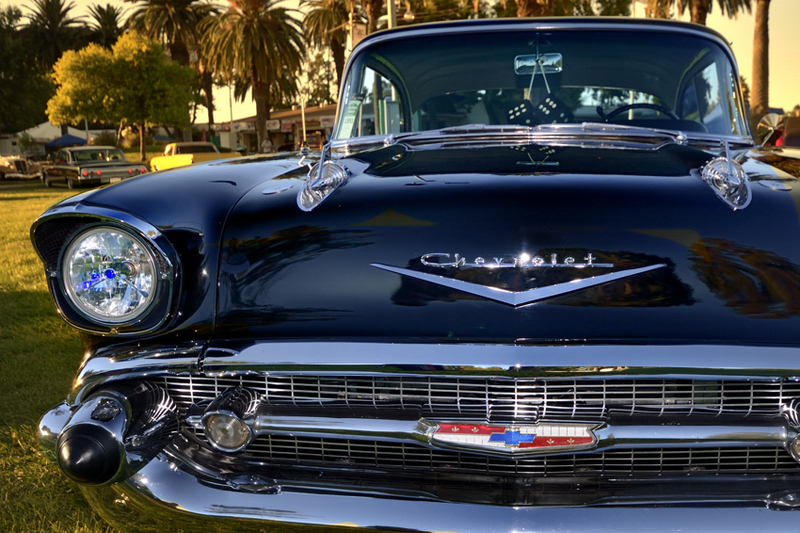 These changes included a new dashboard, sealed cowl, and the relocation of air ducts to the headlight pods, which resulted in the distinctive chrome headlight that helped make the ’57 Chevy a classic. Fourteen-inch wheels replaced the fifteen-inch wheels from previous years to give the car a lower stance, and a wide grille was used to give the car a wider look from the front. 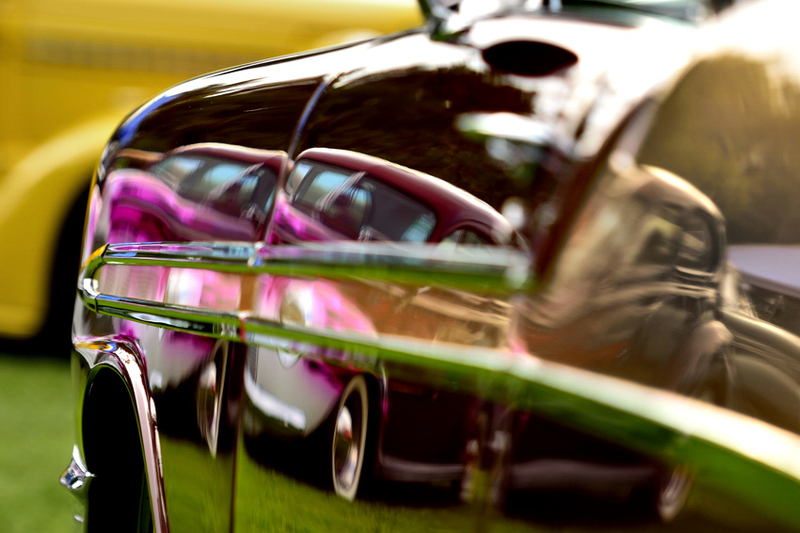 The now famous ’57 Chevy tailfins were designed to duplicate the wide look in the rear. Bel Air models were given gold trim: the grille, front fender chevrons, hood, and trunk script were all rendered in anodized gold. The base engine was an inline 6-cylinder called the Blue Flame Six. 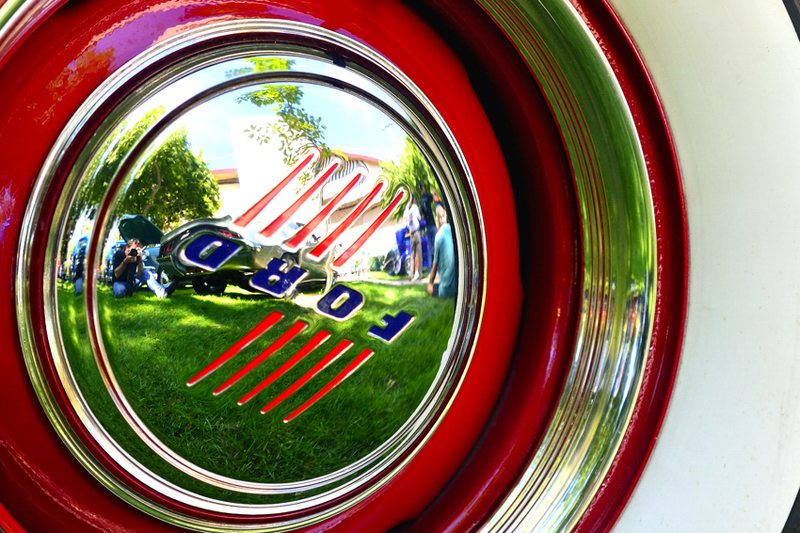 We were invited Guests to by the P-Town Pushrods to photograph and enjoy this amazing exhibition of automotive passion in Pleasanton California. It was a sight to see. We arrived at 6:30AM to get early light and stayed until 10 PM to witness an amazing fireworks exhibition. This shot was of the tail section of an immaculate black Corvette. It seems as if the emblem is actually floating in a river – a tribute to the amazing paint work on this fine car.